The fabled BMW i5 has been shrouded in mystery as rumors have wriggled their way around the internet. Eventually, web lore had the i5 proclaimed dead, then subsequently resurrected as details continued to emerge about BMW's electrification plans. Now, as the Bavarian automaker plans to ramp up its production of electric vehicles, the i5 rumormill churns yet again. This time, Autocar reports that the BMW will be a sedan, and will be previewed as a "notchback" concept next week at the Frankfurt Motor Show. The four-door i5 will have a drive range somewhere between 311 and 435 miles on a single charge. While that's quite a spread, even the low end of that would be impressive. Autocar quotes BMW R&D chief Klaus Fröhlich as saying of the i5, "The i model we have planned for launch in 2021 will incorporate our fifth-generation battery electric system — a step that will take us to the next level." This battery system is "a big leap in energy density and overall range" over the i3, he said. The company is also taking a "top-down approach" to autonomous driving technology, which it will incorporate into future EVs. "We want to understand Level 5 first," said Fröhlich, referring to full autonomy. "It will likely arrive in 2025." Autocar says the i5 will be one of four new all-electric models confirmed in Frankfurt, along with an X3, an electric Mini, and a separate model called the iNext (which, if we've got our rumors straight, would be an electric crossover). Fröhlich confirmed (according to Autocar) that the i5 and iNext "are two completely different models." 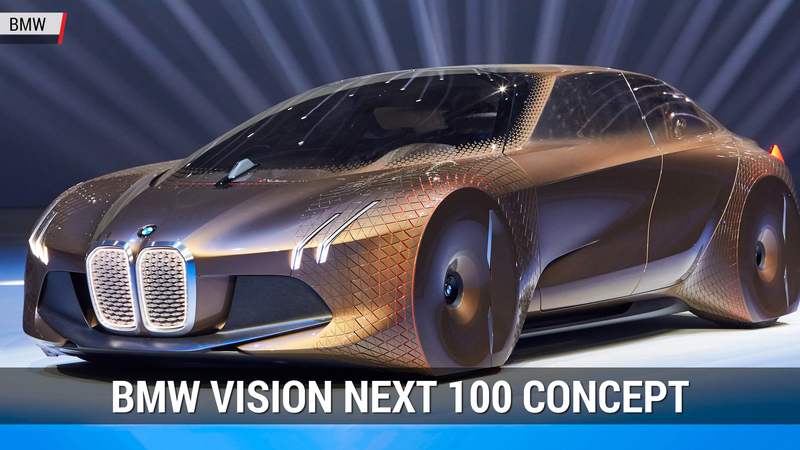 The iNext would build on the Vision Next 100 that BMW unveiled earlier, and could be called i7 when it makes its way to production.